Howlite skulls, wood & lava bead necklace, adjustable and hand made. 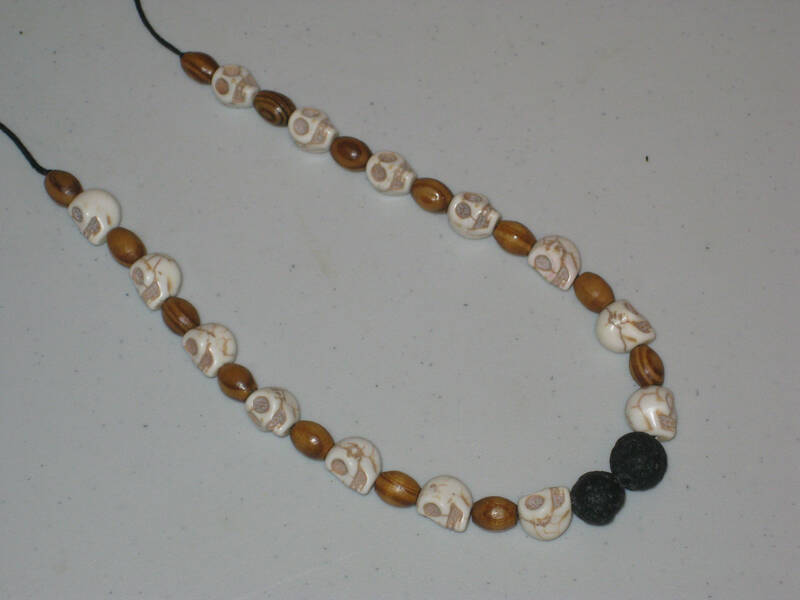 Hand made howlite skull, lava and wood bead necklace. Adjustable up to 32" long. 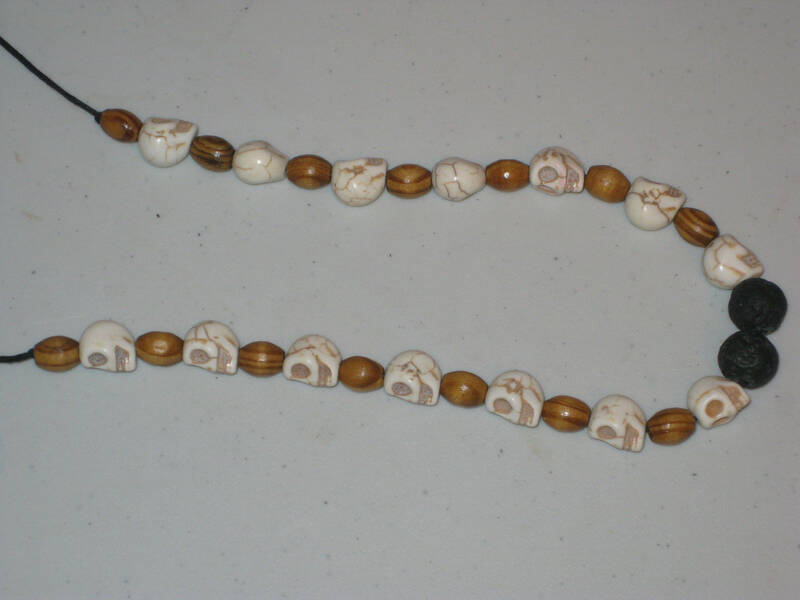 All my jewelry is made and shipped from Canada, and is nickel and lead free. Comes from a smoke and pet free home. If you have any questions, please don't hesitate to ask.